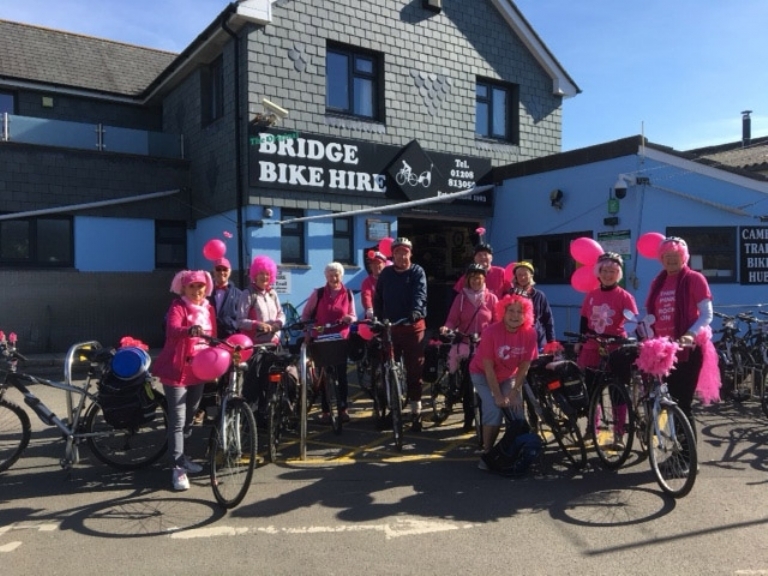 This lovely group of ladies did a fantastic job raising money with the help of Bridge Bike Hire. Here's an email from them updating us on their achievement. We had a really enjoyable and fun day cycling along the Camel Trail and doing a Bucket Collection around the Harbour in Padstow for five hours. I would like to thank you and all your staff for helping us to achieve a record collection, in our three years of this event, for Cancer Research UK. We raised a fantastic. £775.84 !! Thanks also to Matt who helped to organise the bike hire for us and was very helpful on the day. With all best wishes for a good Summer of trade for you.